Israeli settler attacks escalate to an unprecedented level in the occupied West Bank and has become a continuous nightmare فخ the Palestinians, especially that these attacks are not confined to land and property, but target Palestinian civilians under the guise of the so called “Price Tag” policy. 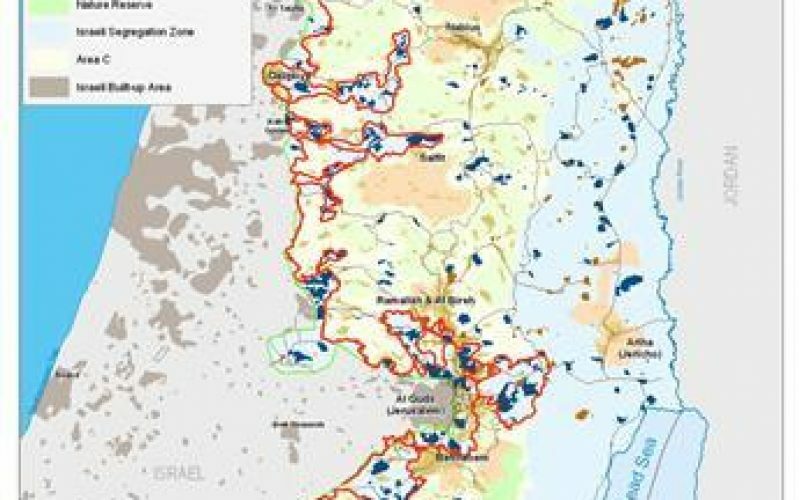 This systematic revenge policy is aimed at the Palestinian population all over the West Bank territory in an attempt to put pressure on the Israeli Government to not make any concessions with regard to settlement building and land annexation in the occupied State of Palestinian land. 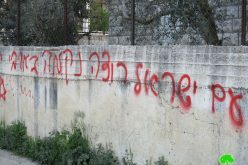 Additionally, with the absence of the Israeli deterrence of settler attacks, this price tag policy has increased year after year, and has become a matter of concern that these settler groups will control the reins and thus put pressure on the Israeli government to impose more facts on the ground. Israeli settler attacks against Palestinians and properties varied from targeting trees (mostly Olives), agricultural and open lands. 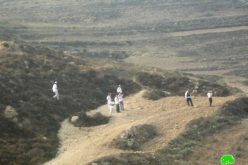 Settlers also allowed themselves to attack archeological sites in the occupied West Bank and perform Talmudic rituals in these sites in clear violation of the sanctity of these places. Chart (2) shows that Israeli settler attacks on religious sites of Christians and Muslims, were the most among other attacks in the occupied West Bank. In recent months, the extent of Israeli settler attacks on Al Aqsa Mosque have become more common and under the watchful eye, protection and support of the Israeli police and army. This in turn, has led to more violent confrontations between the Palestinians and the Israelis at the site. Israel has also imposed restrictions to prevent Muslim worshippers under certain age (usually under 45 or so) from entering the mosque in an attempt to avoid such confrontations with the Israeli settlers who keep attacking the Mosque. Settlers also targeted a number of Churches and monasteries in the holy city of Jerusalem. 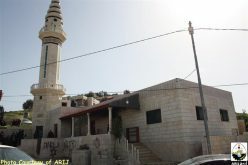 Not only settlers attacked religious places and properties, but also attacks included physical assault on Palestinians while they were in their places of work and their lands, especially those in close proximity of Israeli settlements and outposts, which puts this type of attack in the third place. During the reporting period, ARIJ recorded 51 assaults on Palestinian citizens during which, Palestinians were expelled from their places of work and were abused with iron rods and sharp tools for the purpose of intimidation. 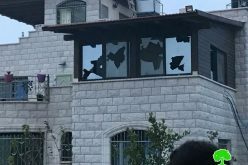 In the third place comes the attacks on Palestinian properties which included hurling stones and Molotov cocktails at Palestinian homes and cars and setting fire to property, surveying areas and properties, blocking roads and setting up checkpoints to obstruct the movement of Palestinians. 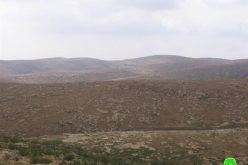 Note that settler violations have also targeted Palestinian trees which constitute a main source of income for a large sector of the Palestinian population in the occupied West Bank. 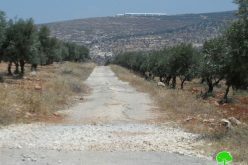 In the period between April and March 2014, settlers managed to destroy nearly 1500 Palestinian trees, mostly olive trees. This includes cutting and burning of fruitful trees and spraying them with toxic pesticides so that Palestinians cannot cultivate them again or use them in any way possible. 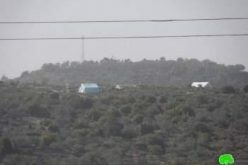 These attacks aim at preventing Palestinians from returning to their land to cultivate it again, and eventually annex it to the nearby settlement/outpost. The deliberate failure of the Israeli army to deter settlers from committing attacks against Palestinians and their properties encourages settlers to continue to encroach on the rights of Palestinians. Palestinians are no longer able to protect themselves from these attacks and no longer feel safe in light of the disregard of the Israeli occupation army to take immediate measures against such attacks, which often pass without settlers being held accountable for their violent attacks.